iPhone Repair New York ™ is a division of LaptopMD+, a highly trusted laptop repair center located in Midtown Manhattan. The iPhone repair specialists at iPhone Repair New York ™ have been providing quality iPhone and iPod repair services for about 10 years. Your iPhone and the data, music, applications, contacts and photos you store on it are extremely important to you. At iPhone Repair New York ™, we utilize painstaking efforts to protect your data and deliver the best possible iPhone and iPod repair service. Most iPhone repairs can be performed while you wait; any other complex repairs usually take no more than 24 hours. We strive to make your iPhone repair experience pleasant and expedient, returning your iPhone in "like new" condition as soon as possible. 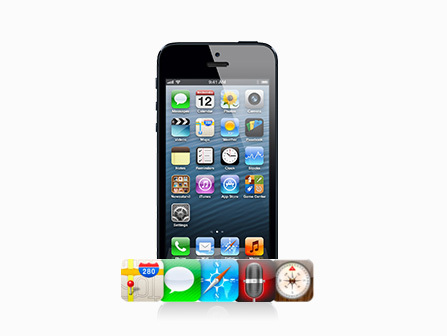 Our iPhone repair technicians are professionally trained and industry certified. Our repair engineers are Apple certified and we use only Apple certified parts. iPhone Repair New York™ is open 7 days a week, including holidays. iPhone Repair New York ™ prides itself on high-quality customer service. For ten years, we have worked with customers who were referred to us by Apple’s own “Genius Bar” because they simply could not solve the problem in a timely and cost-effective manner. iPhone Repair New York ™ picks up where Apple leaves off. Apple charges a premium for their services, while iPhone Repair New York ™ provides the same excellent service and parts as Apple. In fact, Apple charges $199 for iPhone screen repair, but when you bring your iPhone to our New York iPhone repair center, we will handle the same job, for less than half the price. Our engineers are Apple certified and we use only Apple certified parts for your iPhone or iPod repair work. Call iPhone Repair New York ™, the next time you need iPhone repair work done; we promise you will be satisfied with our repair service. We provide free repair estimates while you wait and we won’t charge you anything unless we perform a repair. If we can’t fix your iPhone, we won’t charge you anything. This is the iPhone Repair New York ™ guarantee. Call our iPhone repair specialists today or visit our Manhattan iPhone repair center. Please call 646-688-5385 for a free phone consultation or come in and visit our iPhone repair center. If we solve your iPhone repair problem on the phone, there is no charge. 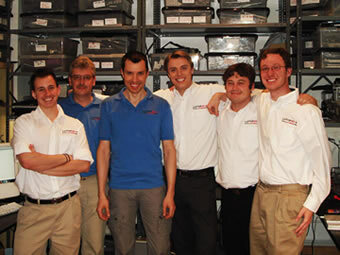 Learn more about iPhone Repair New York ™, our parent company and our staff, by visiting LaptopMD+ today. Visit the LaptopMD website today to learn more about who we are and what we do, including our top-quality laptop repair and computer services.